Hands up anyone who has reached for chocolate when you are feeling upset. When I say chocolate I mean the whole family-sized bar not a Hersey kiss or perhaps crunchy, salty is your thing and we are talking about a huge bag of chips. It could be anything unhealthy and it could be happening because you are stressed, angry, frustrated or let’s face it, any emotion at all really. 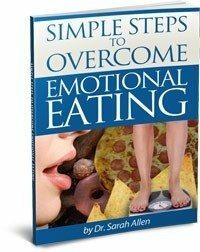 The occasional soothing of emotions by comfort eating is fine but when it becomes a regular thing or when you can’t stop eating until you feel so uncomfortably full (and may even vomit) then we need to talk about other, more healthy ways, of soothing yourself when the day has been really tough. Self-soothing is all about being comforted, nurtured and kind – by yourself. We are so much nicer to other people than we are to ourselves. It’s time you were nice to yourself. One way of doing this is to think of ways to soothe each of your five senses: Vision, Hearing, Smell, Taste and Touch. VISION: Walk in a pretty part of your neighborhood or take a short trip to the nearest beauty spot. Look around at the nature all about you. If you are in a city go to the Art museum and look at beautiful painting. Sit in your garden or if you don’t have one, buy a flower and spend time looking at it and really seeing it’s beauty. If it’s evening time and too dark to see or if you don’t want to go out, light a candle and watch the flame dance or look at a book with gorgeous images. HEARING: Listening to music is a wonderful way to self-soothe. Some people prefer the a CD of natural sounds of the ocean or a waterfall. Whatever you are listening to, be mindful, letting the sounds come and go. SMELL: We all know that certain smells take us back to specific memories. Be aware of what smells bring you pleasure (without hunger or cravings) Notice all the different smells around you. Walk on grass just after it has rain, and breathe in the perfume a loved one wears or smell certain aromatherapy oils such as lavender which have a relaxing quality. TASTE: Self-soothing without bingeing doesn’t mean you have to stay away from food entirely. When you eat emotionally you probably gulp down the food without really tasting it. Without knowing it, the whole packet of cookies has gone! Use your taste buds and really taste what you are eating. Take minute bites and really chew the food, rolling it around your mouth before swallowing. Eat it slowly, savoring each bite. Drink a soothing drink like herbal tea or hot chocolate. Let the taste run over your tongue and slowly down your throat. TOUCH: Take a bubble bath (maybe one with a soothing smell, there’s nothing wrong with combining more than one sense). Pet your dog or cat or cuddle a child. Put on an item of clothing that feels soft or smooth silky or perhaps you need the cuddly feel of your favorite over-sized cardigan. Wrap up in a furry blanket or sink into a bed with clean, crisp sheets. Which of these ideas jump out at you as things you would find soothing? Prepare ahead and stock up and make yourself a treasure trove of comforting things for next time you feel the need to eat emotionally. Stressful day? It’s important to make time to stop and relax, not binge on junk food and then feel guilty and even worse about yourself. 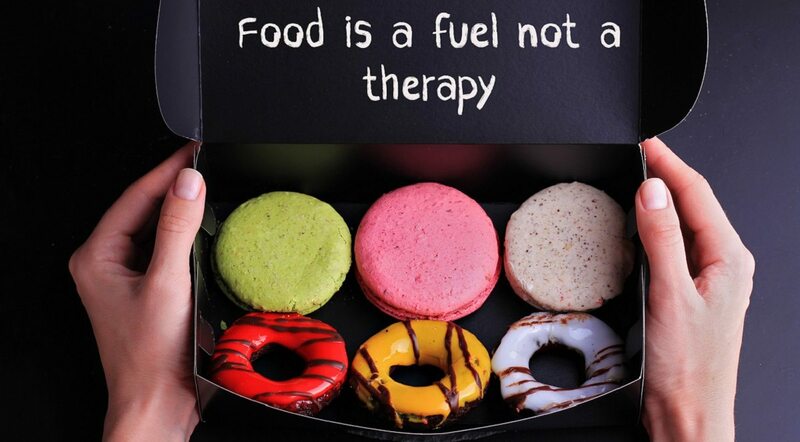 For more info on emotional eating visit my Weight & Emotional Eating page and blog posts. 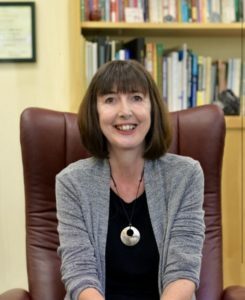 Dr. Sarah Allen has 20+ years experience and is recognized by clients, peers and other professionals for her ability to quickly help people get “unstuck” and move forward in their lives. If you have questions after reading this article or have any questions about how counseling can be useful to your particular circumstances please contact me at 847 791-7722 or on the form below.